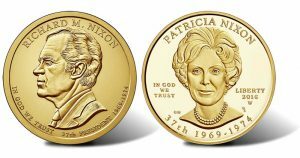 In less than two weeks, on March 16, representatives from the Richard Nixon Foundation and United States Mint will commemorate First Lady Pat Nixon’s 104th birthday and celebrate the release of coins featuring her and Mr. Nixon. Earlier today, Mar. 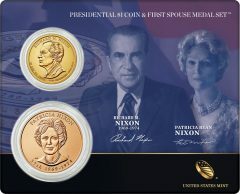 3, the United States Mint started selling the first of three Presidential $1 Coin & First Spouse Medal Sets for 2016. Notably, the series wraps up this year. 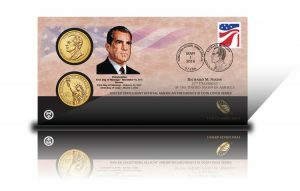 This latest collector product memorializes Richard M. Nixon, the 37th President of the United States, and his wife Patricia Ryan Nixon. 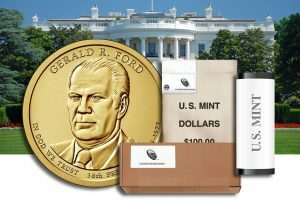 The U.S. Mint on Tuesday, Feb. 16, will introduce its final proof set of Presidential $1 Coins. 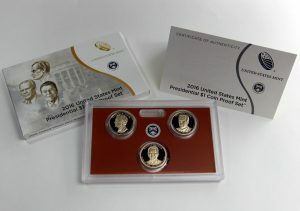 One of the set’s three dollars features Ronald Reagan, the 40th President of the United States Mint. 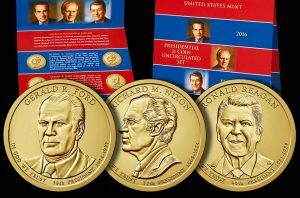 This article presents photos of a proof Reagan $1 and some of the dies used in striking them. 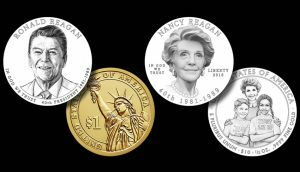 The United States Mint on Saturday, Feb. 6, introduced designs for the Ronald Reagan Presidential $1 Coin and Nancy Reagan First Spouse Gold Coin. 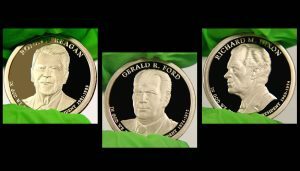 In doing so, two ten-year programs formally enter their swan song stages with each coming to a close. 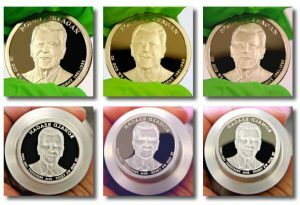 On Saturday, Feb. 6, officials from the United States Mint and the Ronald Reagan Foundation will unveil designs for the Ronald Reagan Presidential $1 Coin and Nancy Reagan First Spouse Coin. 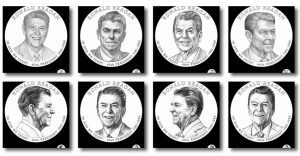 The event is one of several scheduled to celebrate the 105th anniversary of Ronald Reagan’s birthday.